Alice Rolfe is the talented woman behind Rolfe & Wills in Bristol and I love her unique and minimal designs and the environmental ethos. 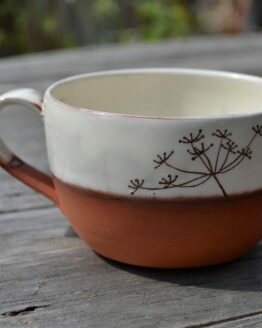 She draws each cheese plant leaf and then puts the design onto each mug individually in her Bristol based studio. 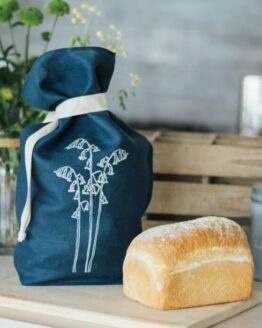 All her products are responsibly sourced, and printed with non-toxic, organic inks. 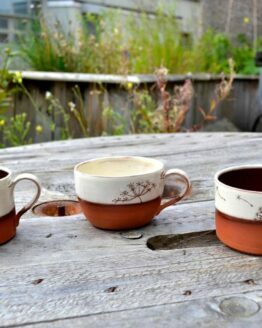 Made from bone china, these mugs have a fine rim and that almost translucent quality, that you only get with Bone China. hey are slightly larger than the usual bone china mug and hold a healthy-sized cup of tea! This print is also available as Coasters and Placemats. Alice Rolfe spent 10 years studying Fine Art, Sculpture and Print in London, teaching and exhibiting in and around London and Europe. Making is her real passion, so she came back home to Bristol and with the help of her old school friend Chloe Wills, started a design company. I love her minimalist crisp designs, vibrant colours and the company ethics. All their products are organic, responsibly sourced, and printed with non-toxic, organic inks. She also has a fun sense of humour and each mug comes in a lovely presentation box with a few tea related puns printed on it.